Honey, I Shrunk The Shrinky Dinks! Do you remember Shrinky Dinks from when you were a kid? I could hardly wait for Lori to be old enough to experience the magic of Shrinky Dinks! 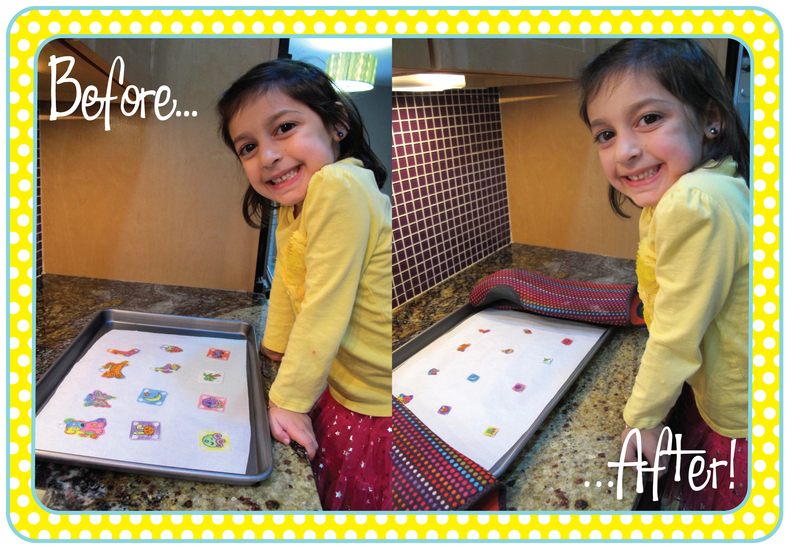 The adorable artwork and pre-cut pieces make the Shrinky Dinks activity kits from ALEX a must have! The ALEX kits feature over a dozen different themes including ballerinas, jewelry, ponies, pirates, insects, robots and more. Great fun for boys and girls! ALEX also has Shrinky Dinks minis that make great party favors. You can find the entire line of kits here. Take a look at Lori’s first Shrinky Dinks experience. We made the Mermaids and Jewelry kits. What Is Black & White And Keeps A Kid Happy For Hours? A. Snuggle with stuffed animals? C. Do activities over and over again? If you answered “D,” then a Color and Cuddle activity will be perfect for them! This collection includes 6 different machine washable dolls that can be colored, cuddled, and washed again and again. 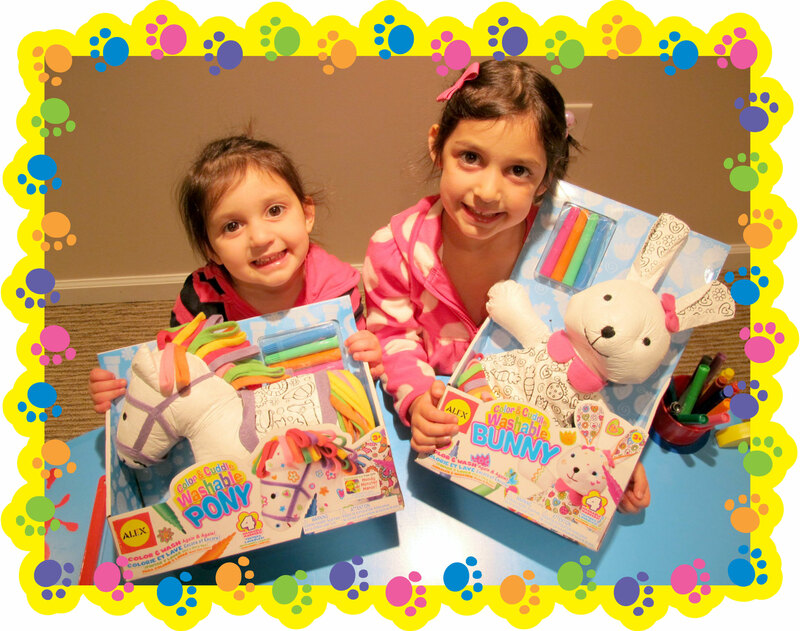 My girls tried out the Bunny and the Pony – take a look!